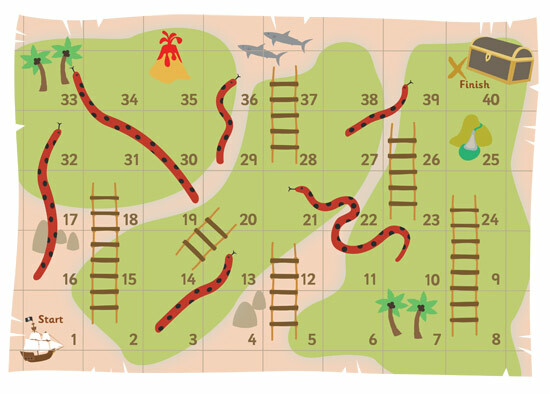 A printable snakes and ladders game with a pirate twist. It is designed to promote core numeracy skills in a fun and engaging way. The download includes an A4 version of the board as well as a large version which can be assembled using four A4 pages. This game may inspire you and the children to create a large scale outdoor game - using playground chalk or rubber mats for a track. Great resource for my SEN group. Will adapt to count backwards too.